I am not a Daily Mail style hate everything in sight kind of person, but I was a bit anxious about how well the Olympic opening ceremony was going to go. The preview had looked dreadful. Sheep and cows in a field? What was that all about. And we had the security fiasco as well. Note to future governments, especially Labour ones, some things shouldn’t be contracted to the private sector. One of those things is security at major national and international events. And they definitely shouldn’t be contracted out to a bunch of incompetents. Frankly, we’d have been better off giving an agency that hires bouncers a ring. At least they would have turned up. And the Beijing opening had been so superb, there was a high standard to live up to. So I was ready to spend a few hours cringing. But it took less than five minutes for my misgivings to evapourate. It was just absolutely brilliant. I loved it all. 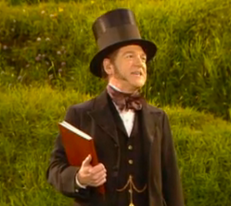 There were plenty of highlights, and not many dull bits, but for me the best bit was early on when Kenneth Branagh dressed as Isambard Kingdom Brunel, complete with top hat and cigar, quoted some lines from the Tempest. It sounds crazy. It is crazy. But it sort of worked. It was part of a sequence that told the story of the most remarkable bit of Britain’s history. As Paul Kennedy has pointed out, Britain occupies about 1% of the world’s habitable area. As a rule you’d expect it to enjoy about 1% of the world’s wealth and power. And for most of history that would have been roughly true. But for a couple of centuries, peaking in the middle of the Nineteenth Century, the figure got close to 50%. Since then the trajectory has been back down again, and although it is not back to 1% yet, this would seem to be the inevitable destination. But although this is a big story, it isn’t one that you’d have thought that could be told. And yet, that is exactly what they set out to do and to a very large extent succeeded. There were some eye catching props – including smoking chimney stacks emerging from green fields. But it really succeeded because it was a great bit of story telling. We also got a plug for the National Health Service. This was portrayed as a simple celebration of a great British institution, as indeed it is. This was the bit that got some flack from right wing ideologues, but it wasn’t really a political point. Or at least it shouldn’t be. Health is an area that defies the logic of free markets. We all want healthcare for ourselves, and we are pretty keen on providing it for other people. This is something that can be provided very efficiently by state provision paid for out of taxation, and nearly everybody is mature enough to understand this. Us Brits are a bit chuavinistic in thinking that it is something we thought of. The plain fact is that every country, with one major exception, that can afford it has a variation of a national health system. It is just the most sensible way to do it. But no matter how sensible the idea of a national health system is, there is nothing remotely sensible about having staff and patients bouncing around in a huge music and dance number to celebrate the fact. But even if it was crazy, it was also glorious. The dramatic centrepiece of the show was the forging of the Olympic rings live on stage. This was also great, but by this stage in the proceedings I, and I imagine most other people watching on television, was totally captivated. By the time the doves of peace were released – in the form of pale blue disembodied wings on bicycles I had so bought into the whole thing that it seemed almost natural. Of course doves ride bikes. I had expected Paul Mccartney to put in an appearance, and the choice of the song Hey Jude was not a surprise. This was just about the only bit of the night that wasn’t surprising, but it is good to end on something familiar. So did it compare to Beijing? I think it was too different to compare. They were both superb in their own way. I have a feeling that in the future this is going to be something of a familiar feeling. Nobody is going to be able to beat the Chinese with their huge population in a straight competition. We are all going to have to look for ways to sidestep without ignoring. This might turn out to be another way Britain finds itself leading the rest of the world.